The great thing about corporate giants is that they are such amazing business innovators. Look at the Big Four airline oligopoly, for example. They've perfected the unique business model of the "double-squeeze": squeezing more customers into ever-smaller seats while simultaneously squeezing more money out of customers' pockets. What genius! But in the category of "wheel-spinning" innovation — i.e., trying to change a corporation's course without actually changing anything — it's hard to top McDonald's. For several years, the fast-food chain has been losing customers to younger chains with healthier, more stylish offerings. So, its CEO, Steve Easterbrook, has tried again and again to recoup the losses by tinkering with the menu, calling it "healthy" and "fresh." But McNuggets and fries are still what they are, so people have not bitten the PR bait. So the burger boss looked out at his 38,000 chain stores, and he had a vision — eureka! — of the creative change that would cause hungry eaters to flock to the Golden Arches: AI. What? AI stands for artificial intelligence, the rapidly advancing digital technology of creating cerebral computers — essentially, robots that think. Able to program themselves, act on their own and even reproduce, these cognitive automatons are coming soon to McDonald's and other workplaces near you. Yes, exclaimed the innovative CEO, consumers need a robotic order-taker to advise them on what to order — based on AI's ability to analyze millions of data bits about the weather, traffic, time of day and what other people are ordering. "Decision technology" it's called, and Steve spent 300 million McDollars to buy a whole company that peddles these so-called thinking machines. The AI outfit says the benefit of its brainy computer system is that it allows "the rapid and scalable creation of highly targeted digital interactions." Now what could be more inviting than that? Easterbrook adds excitedly that his innovative deployment of this artificial intelligence network will provide an "even more personalized customer experience." Sure, Steve, nothing like more computers to add a warm personal touch to wolfing down another cookie-cutter Big Mac. Far from helping you, the snazzy new AI ordering system at McDonald's will be helping the corporation by silently compiling personal information about you, ranging from your "movement patterns" to your license plate number. As Easterbrook admits, McDonald's will use the technology to "make the most" of the data collected. The CEO of McDonald's may be talking about his "digital interaction" plan, but most corporate bosses won't talk about theirs in public. Amongst themselves — psssst — they whisper excitedly about implementing a transformative "AI agenda" across our economy. Not wanting to stir the preemptive rebellion by human workers who're being targeted for displacement, corporate chieftains are carefully avoiding terms like "robotic automation," substituting euphemisms like "digital transformation." In their boardrooms and clubrooms, however, top executives see AI as their golden calf — a holy path to windfall profits and personal enrichment by replacing whole swaths of their workforce with an automated army of cheap machines that don't demand raises, take time off or form unions. Kai-Fu Lee, a longtime tech exec, confided to The New York Times that AI "will eliminate 40 percent of the world's jobs within 15 years." Some CEOs are so giddy about AI's profiteering potential that they openly admit their intentions. Take Foxconn, the Taiwanese electronics giant hailed as a job-creating savior by Donald Trump last year when it was given $3 billion in public subsidies to open a huge manufacturing plant in Wisconsin. Now, it's reneging on its promises, and Foxconn's honcho says he intends to replace 80% of its workers with robots within 10 years. Corporate apologists cavalierly claim that displaced humans can be "reskilled" to do something else. But what? Where? When? No response ... and no plans. Executives try to skate by the human toll by saying that the machine takeover is a natural process, the inevitable march of technological progress. Hogwash! The AI agenda is not coming from the gods, nature or machines. It's a choice being made by an elite group of corporate and political powers trying to impose their selfish interests on everyone else. 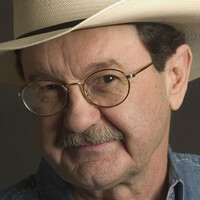 Populist author, public speaker and radio commentator Jim Hightower writes "The Hightower Lowdown," a monthly newsletter chronicling the ongoing fights by America's ordinary people against rule by plutocratic elites. Sign up at HightowerLowdown.org.